When your party member is injured, they are taken to the Bear Creek Ski Patrol Medical facility based in the lower parking lot of the Bear Creek Ski Resort. If you are looking for an injured party member, contact the person located at the command desk in the patrol medical facility. In the unfortunate event that the injured party member from your group requires transport to the hospital, an ambulance will be called and the patient most often will be transported to the Lehigh Valley Trauma Center. This is a level one trauma facility located Allentown, Pennsylvania. 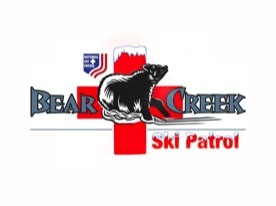 Bear Creek Ski Patrol: Phone (866) 754- 2822 x 329. We are located in the lower parking lot below the lodge. Just look for the large cross.